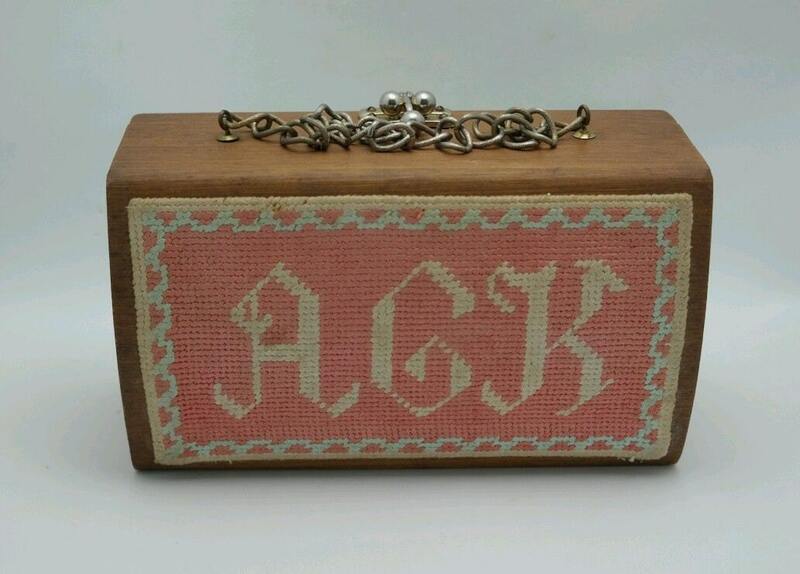 Vintage wooden box purse with handcrafted needle point: Fish design on one side/the initials "AGK" on the other. 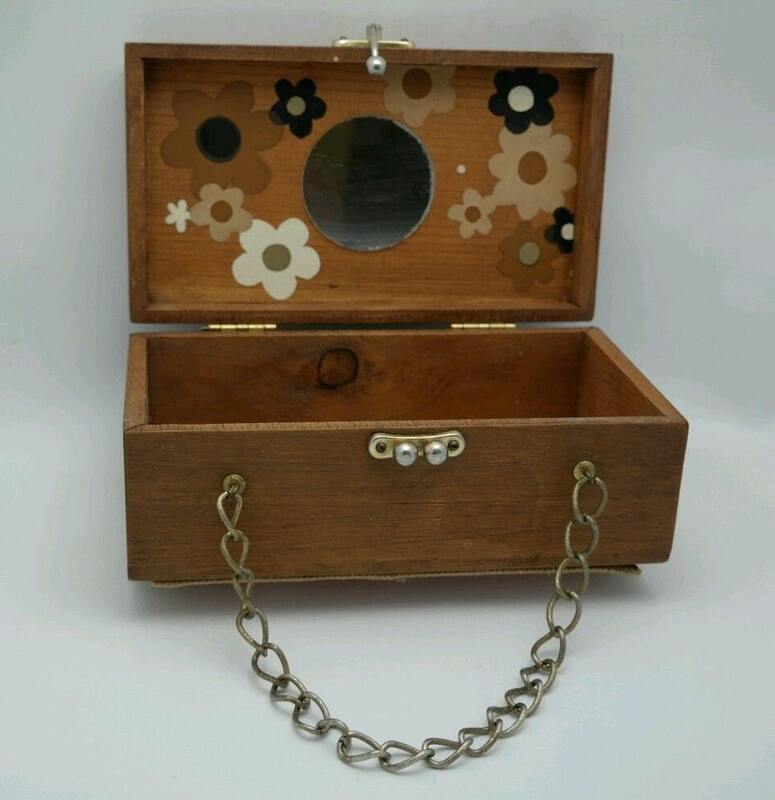 There is a mirror and decoupage flowers inside the top. The wood is in great shape. 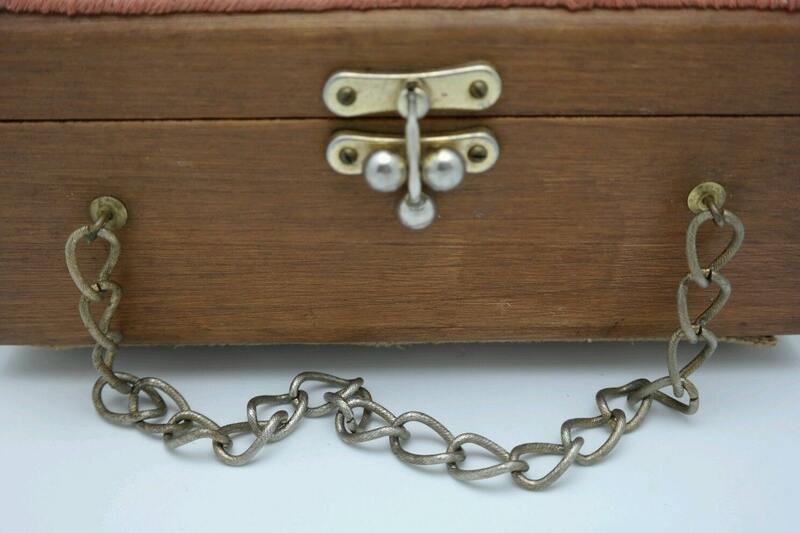 Silver tone metal ball clasp with metal chain and hinges. 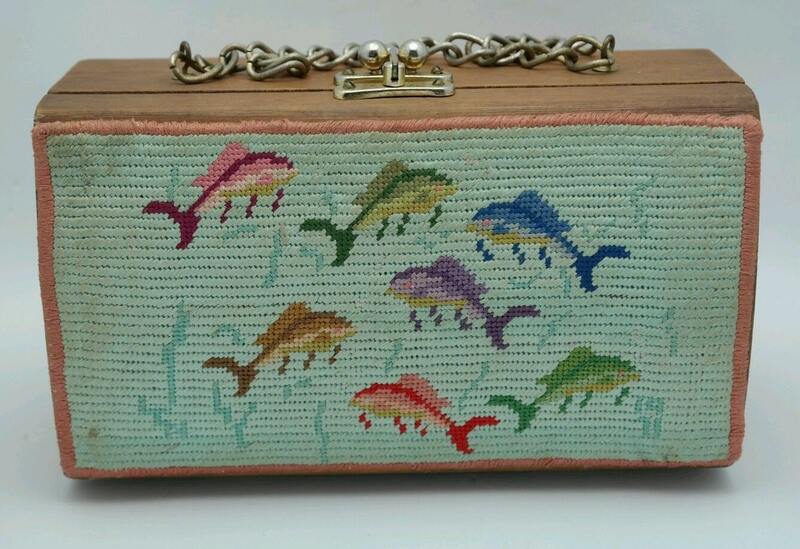 Measures 9 inches long X 5 inches high and a depth of 4 1/4 inches when closed. The handle drop is 5 1/4 inches. 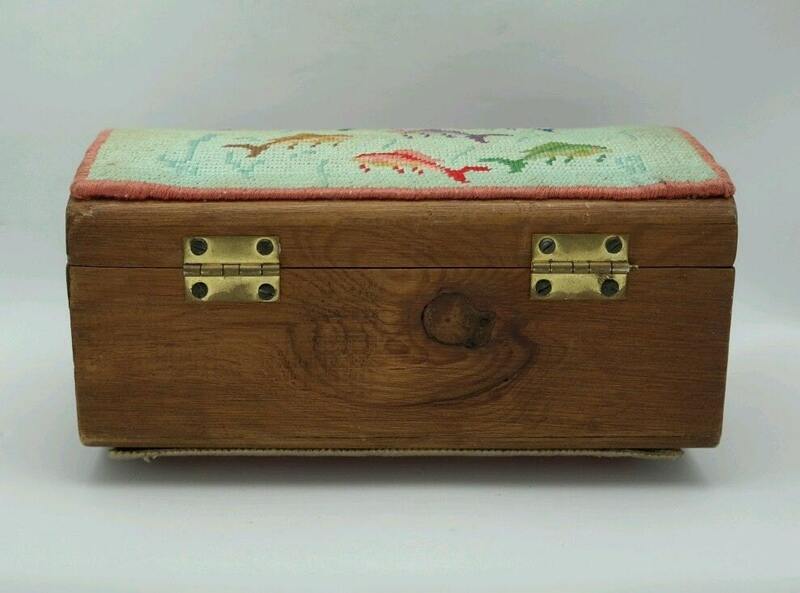 Very pretty and unique! No return on special deals.